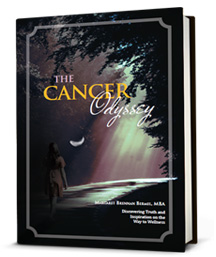 CIPA member Margaret Bermel, author of “The Cancer Odyssey: Discovering Truth and Inspiration on the Way to Wellness,” was recently interviewed by Bill Henderson on his web talk radio show. The interview, “How to Live Cancer Free – “The Cancer Odyssey” details Margaret’s research on cancer treatment options for her ovarian cancer. She found that chemotherapy is a complete fraud perpetrated on the public by Big Pharma. She refused it and healed her ovarian cancer using natural means. Margaret Bermel’s website is www.thecancerodyssey.com.